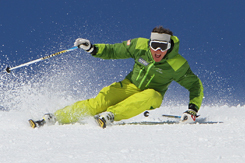 Gain your BASI Level 3 in one place, in one season. The ultimate fast-track course, and the only course of its kind to include most of the Level 3 modules. The fastest way to gain your ISIA qualification with unparalled pass rates. This is a 14 week training course designed for those looking to gain their Level 3 ISIA qualification and improve their personal performance. It is a residential course comprising top quality training and 5 of the key modules required to achieve the overall qualification. 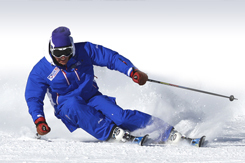 For most skiing nations in the world, the ISIA is the highest level of qualification and holds an internationally recognised standard. People who intend to make a career in the ski industry will need to achieve this level as part of their medium-term career strategy. 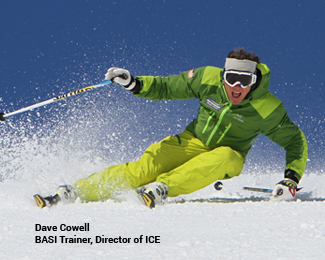 Going from BASI Level 2 to Level 3 is a considerable step up and most of those who choose to go down this route are making a commitment to working in the ski industry as full time ski instructors, for the short term at least. It is hard work but very rewarding and it requires 100% dedication to succeed at this level and subsequently launch a full-time career in the sport, but with the expert tuition of ICE's experienced team of BASI Trainers, who all train regularly at Level 3 and Level 4, your hard work will be channelled in the correct direction and you stand the best possible chances of success. There are 8 modules to complete for the BASI Level 3 ISIA and the full list of these can be found in the BASI Pathway . As well as world class training towards the technical and teaching assessment weeks, this course enable you to complete 5 of the modules required to achieve the overall level. When done separately in many different resorts, the cost of attending these modules with travel, accommodation, liftpass and BASI course costs soon mounts up, and this course with ICE enables you to save money in the long term as well as receive the very best in training. A tick in the box on your way to the ISIA qualification, assuming you pass this course. 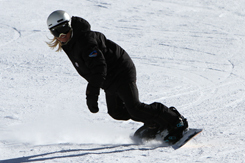 Training and assessment within the snowboard discipline. Candidates are required to have achieved the BASI Level 2 and must hold a current licence. As part of the Level 3, you are examined in a foreign language. With ICE this language is French and training will occur in weekly evening sessions during the course and examination is arranged for near the end of the course. As part of the requirements for the BASI Level 3 ISIA qualification you are required to log 200hrs of teaching experience. ICE has very strong industry links with many leading ski schools and can arrange for you to be employed for weeks 6, 7, 13, 14 of the course which will take you a good deal of the way towards logging the full 200hrs. The rest of the 200 hours are achieved through good attendance on the course. Please note that being accepted as part of the ICE employment placement scheme will depend upon being deemed employable by the employers themselves who are third party companies and not obliged to employ anybody they do not feel suitable even if they are attending this course with ICE. Working for third-parties cannot be guaranteed and should there be no work available during any of those weeks, alternative activities will be provided. If you complete the 4 weeks of teaching and attend all parts of the course you will have accrued the full 200hrs enabling you take the Level 3 technical and teaching module. If you miss any of the teaching weeks you may also need to complete further hours before or after the course to ensure you have completed 200 or more hours. The hours that are signed off by ICE are available for those who complete the whole course including the four teaching weeks provided. 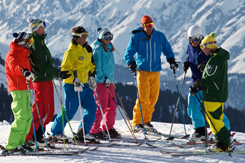 If you choose to work for a ski school other than those who ICE have arranged on your behalf (unless by prior arrangement before the start of the course), ICE will not be able to sign off any additional hours for course attendance. The 5 day technical and 5 day teaching modules for the Level 3 course are not included as part of the 14 week course. However, we arrange them to be available at the end of the season for those who want to do them and who feel ready. This is a significant advantage as it saves travelling to another ski resort to do these parts of the course. Your liftpass can be upgraded to cover the whole season to make this cheaper to attend. This season I was able to gain my level 3 ISIA qualification due to the awesome training and layout of the 14 week course provided by ICE. I would highly recommend this course to anyone planning on going through the Basi system. This is by far the best value for money course around as it offers both training and exams in the same resort. Thank you to all the trainers at ICE I look forward to skiing with you in the future. The ICE ISIA seasonal training course was absolutely fantastic and no doubt enabled me to complete all my ISIA modules within one season. The standard of training was diverse and of the highest caliber. The guys training you assess L3 and L4 instructors every season and cater the teaching styles to each individual. Talking to others on similar course the value of having modules like the Mountain safety, Snowboard L1 and Coaching L1 put ICE's course ahead of the rest. I could not recommend this course more highly to anyone hoping to progress through their BASI L3 and onto their L4.